Guns: .22 cal and up with a minimum of 40 fpe. If you don't have one, you can borrow one of mine. Lodging: click on the link above, it gives lodging locations. Clothing: Bring some good hunting camo. Make sure you wash it in hunters scent free soap. Also bring some hunters body wash. Boots would be good too. The 29th is full but the 30th (MON.) is open. Who ever wants to go need to e-mail me or call me ASAP. This hunt will be VERY DIFFICULT!! The brush will be thick and the weather will probably be warm. THIS WILL BE A CHALLENGE!!! I will be filming this hunt. All hunters caught on video will receive a free DVD. 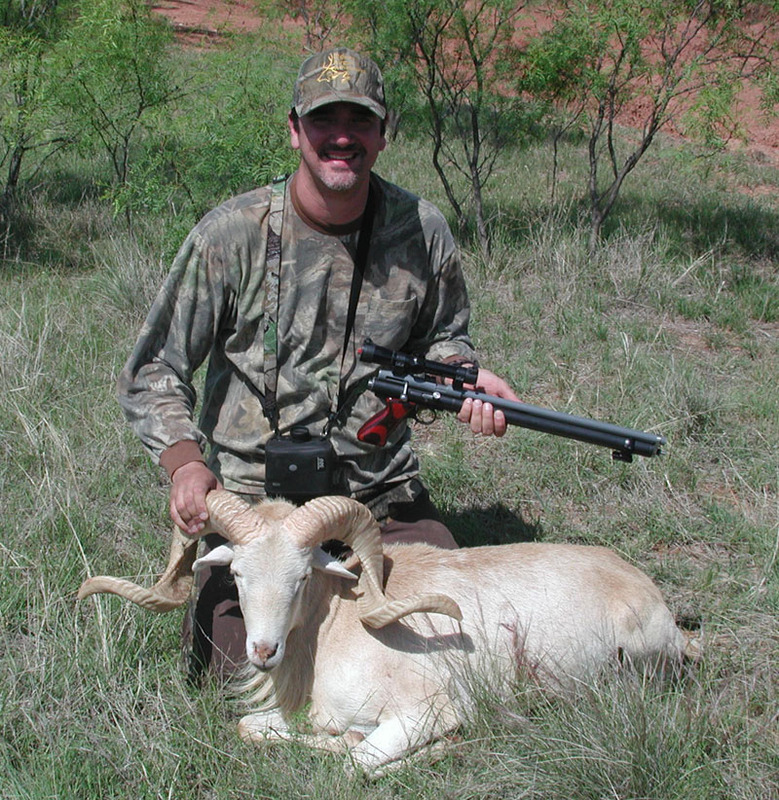 We didn't get any pigs because of the heat, but I did score this nice Texas Dall. This beautiful animal was taken from 35 yards with my DAQ .457 pistol shooting a Hunters Supply 300 grn. bullet.